Meghan Markle is a big fan of the colour navy and it turns out there might be a reason behind this sartorial choice. When it comes to fashion, the Duchess of Sussex has worn some stunning outfits lately, this Oscar de la Renta beauty for one, but there's one colour she keeps wearing again and again. 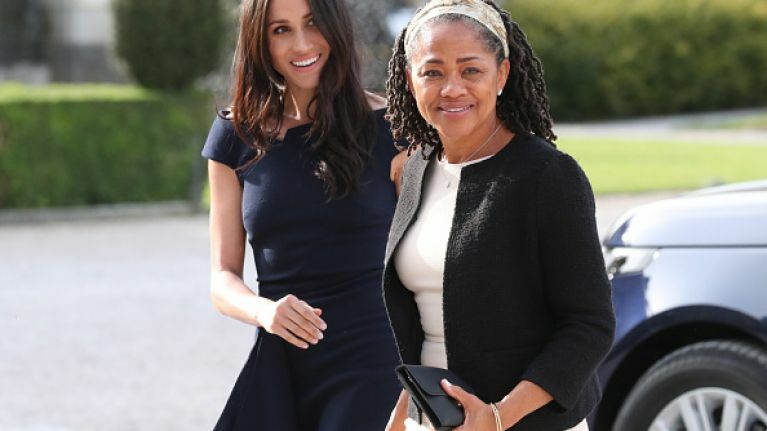 The day before her wedding to Prince Harry, she chose this stunning navy dress from Roland Mouret, it was pretty stunning too as you'll see below. Pictured at Cliveden House the night before her wedding to Prince Harry, Meghan was the picture of happiness. And she also wore navy to Princess Eugenie's wedding, a dress and matching full-length coat which had people wondering why she was wearing such a heavy item indoors. Days later, her pregnancy was announced, Go figure. There was more navy on the final day of the royal tour when Meghan wore a matching Stella McCartney skirt and jumper. The Duke and Duchess of Sussex visited Rotorua Government Gardens in New Zealand where they greeted members of the public before they departed for their flight home to London. So why does she wear so much navy? According to Applied Colour Psychology Specialist, Karen Haller, there might be a specific reason why Meghan wears so much navy. Apparently, it communicates professionalism and is a colour that's related to the mind. "When it comes to the psychology of colour, blue relates to the mind. Darker blues relate to trust, logic and knowledge. 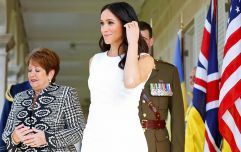 "It communicates duty and professionalism and given it’s a more approachable colour than black, maybe why she wore this hue often on her recent 16-day royal tour down under". Maybe that's the reason or maybe she just loves the colour, we'll just have to see if she continues this trend. Duke and Duchess of Sussex.